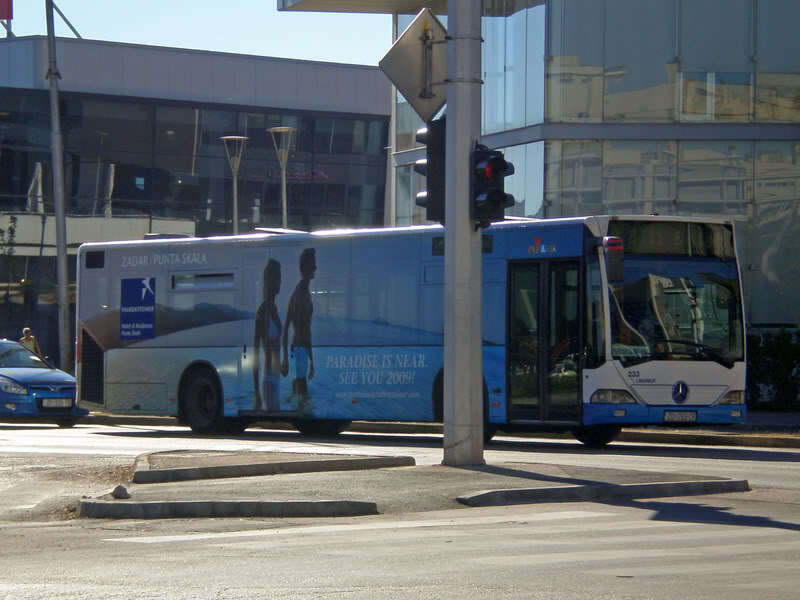 How do buses look like in your home town? I am going to begin with Hong Kong. 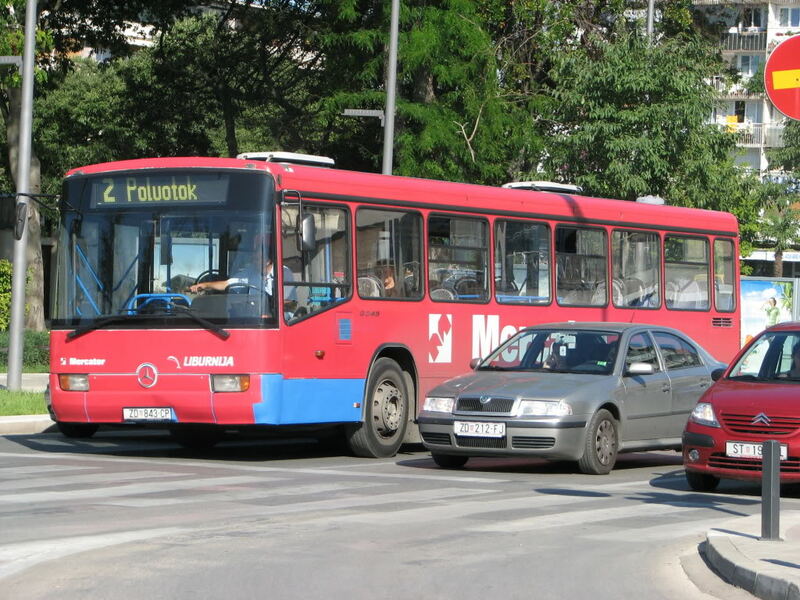 On the left there are two trams. 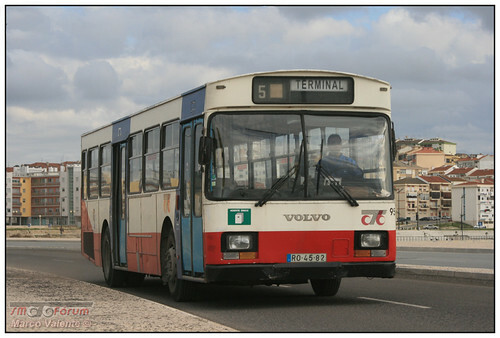 The bus in white is a Volvo Olympian 11.3m air-conditioned belonged to New World First Bus. 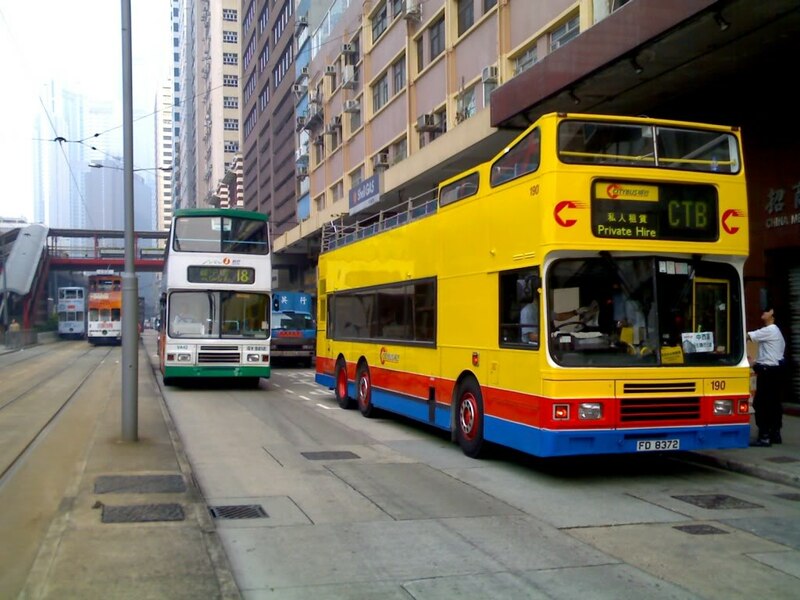 On the right, the open-top bus in yellow is a Leyland Olympian, my favourite type, belonged to Citybus (you might recognize the logo from Capital Citybus). 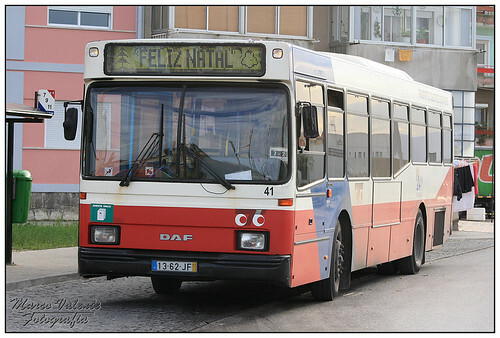 This FD8372 used to be a typical air-conditioned double-decker. 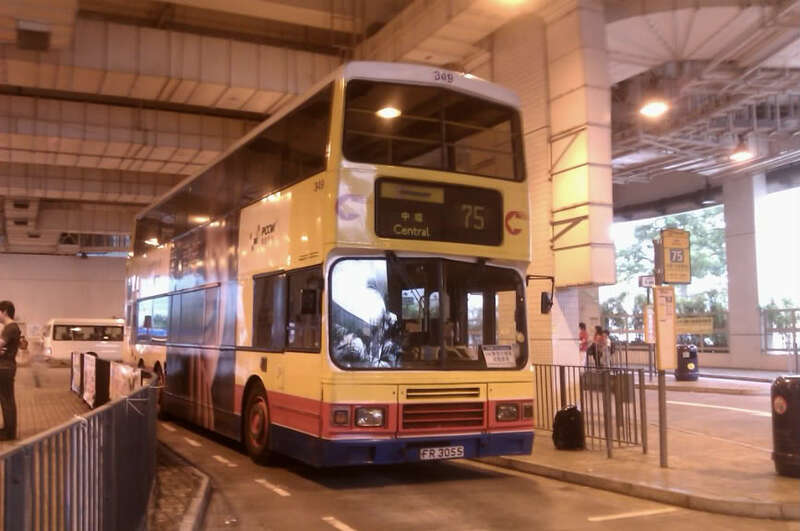 Just a few years ago right after the government decided that couples can get married anywhere they like, Citybus converted this along with a few other Leyland Olympians to open-top buses. 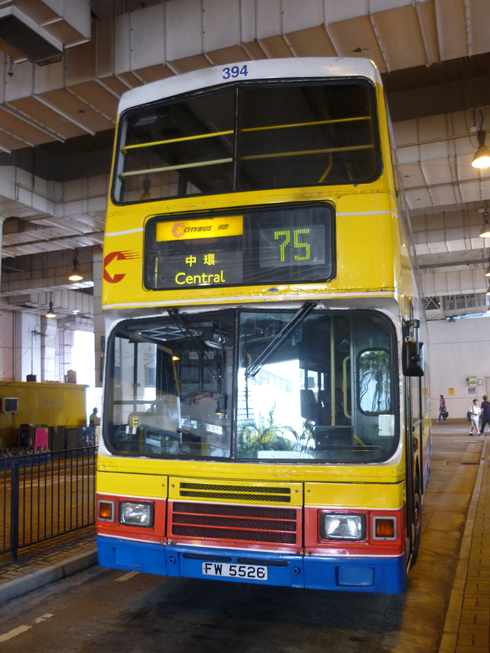 And yes, the lower deck is still air-conditioned, a first in Hong Kong. Even though these are very powerful, they tend to break down more often than British products. 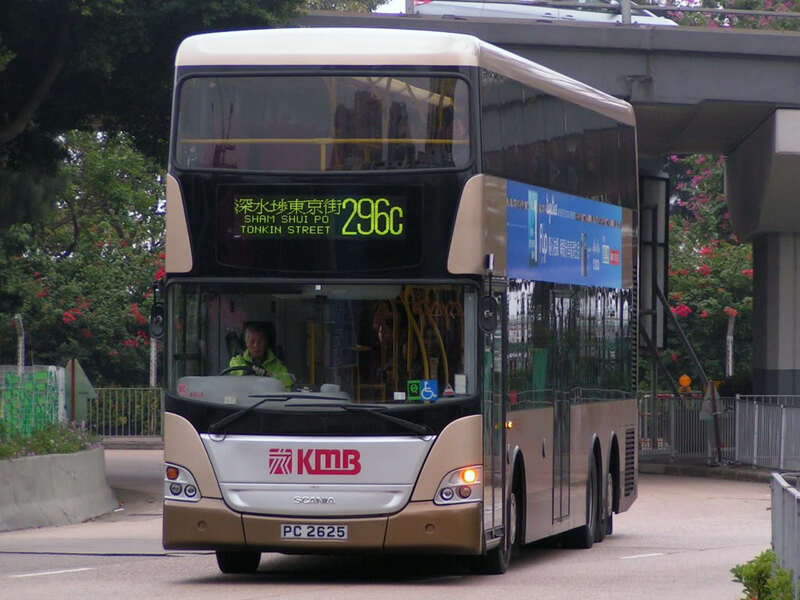 That is why you can find more buses by Leyland, Volvo and Dennis on the streets of Hong Kong than MAN, Neoplan and Scania. 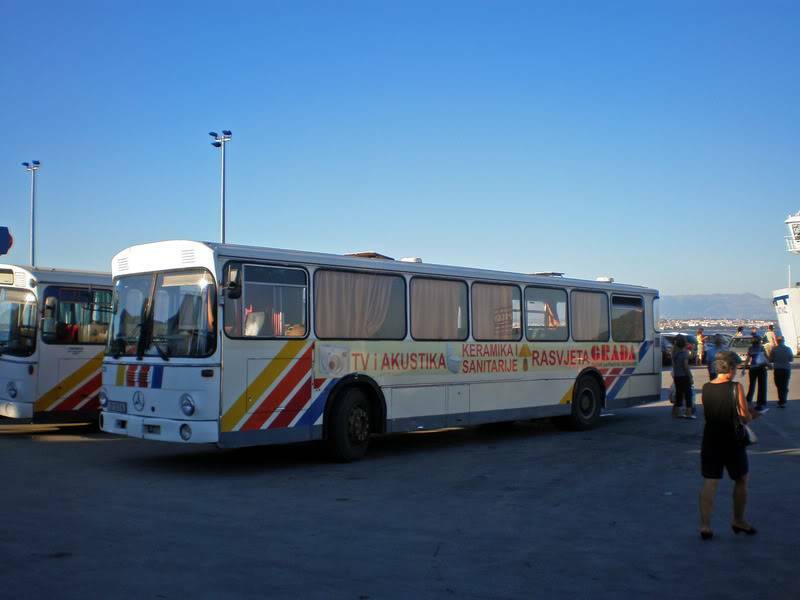 This is another Leyland Olympian. 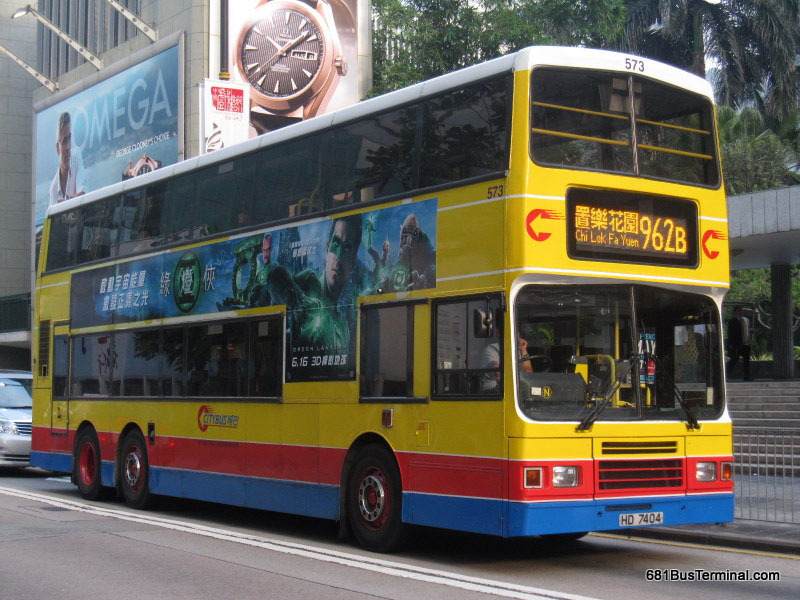 It is one of the 54 12m air-conditioned Leyland Olympians introduced in 1993 when Citybus was awarded the franchise of 28 routes. 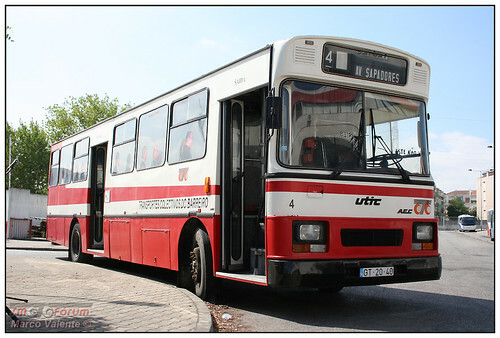 As I have said above, I love Leyland Olympians more than other bus types. 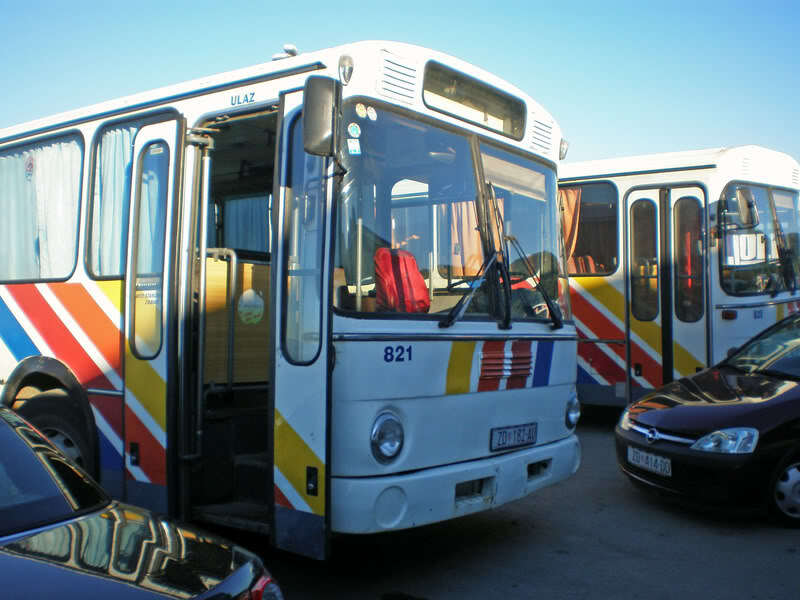 However, after 17 years in service, many of them have been retired and only a handful of them are remaining in the franchised bus service division of Citybus. 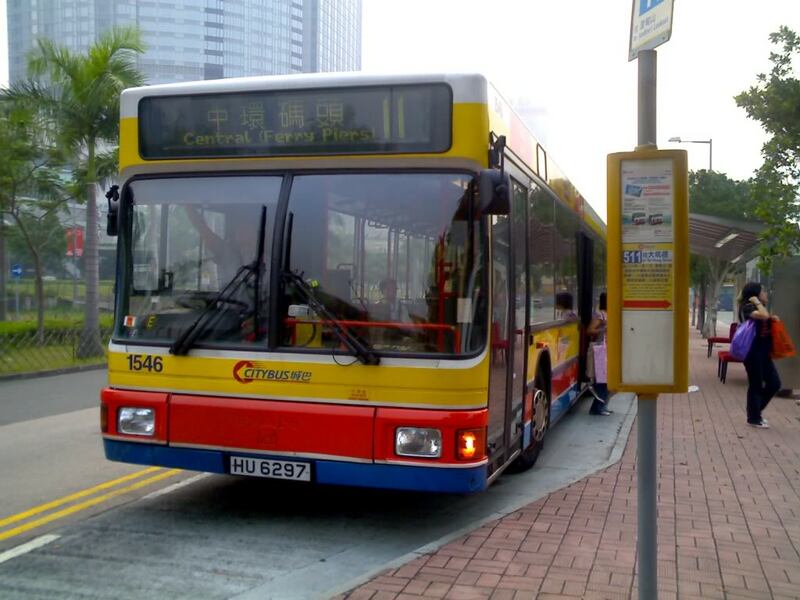 This is the newest Leyland Olympian in Citybus' fleet. Still, it is over 16 years old now. 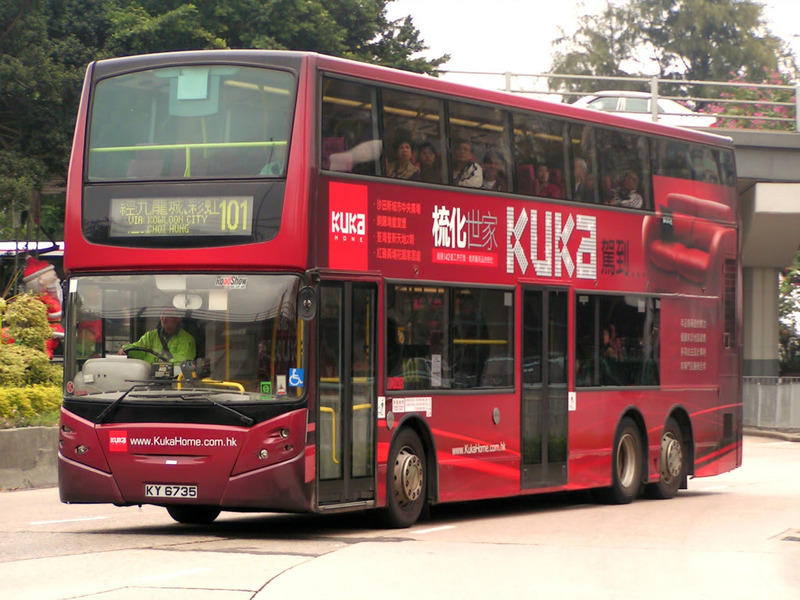 In fact, there are still 2 more major bus companies, Kowloon Motor Bus and New Lantau Bus in Hong Kong. But since I only take photos of mostly Leyland Olympians around the area near my school, I don't have decent photos for those two companies. 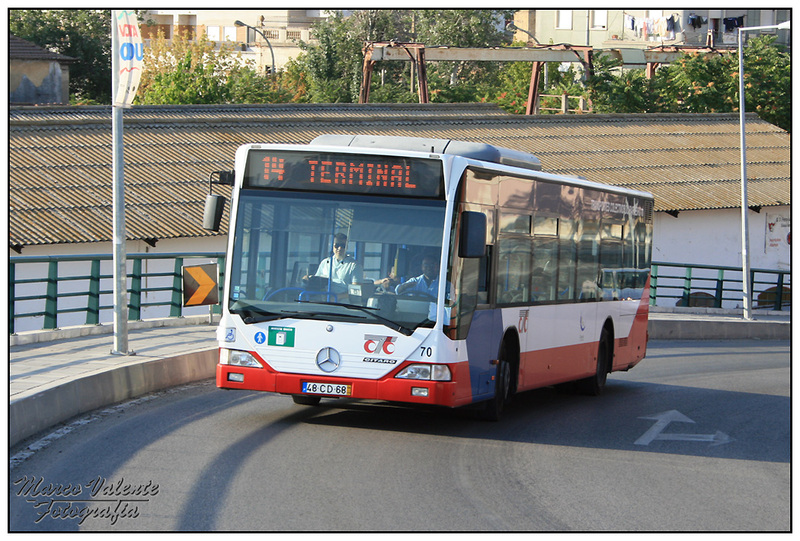 I won't tell you the real reason is that Citybus is my favourite bus company. I have never seen chineese letters on a flip dot matrix! (and on a MAN bus ) Very funny for me! 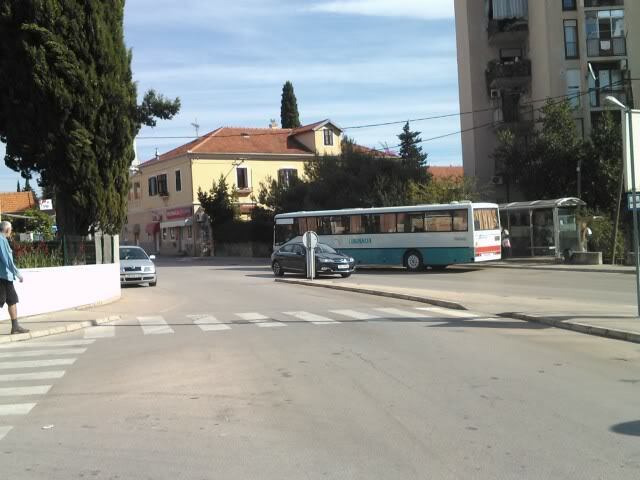 Here is some busses from Croatia, my town Zadar! We have 90% Mercedes busses and 10% are others. 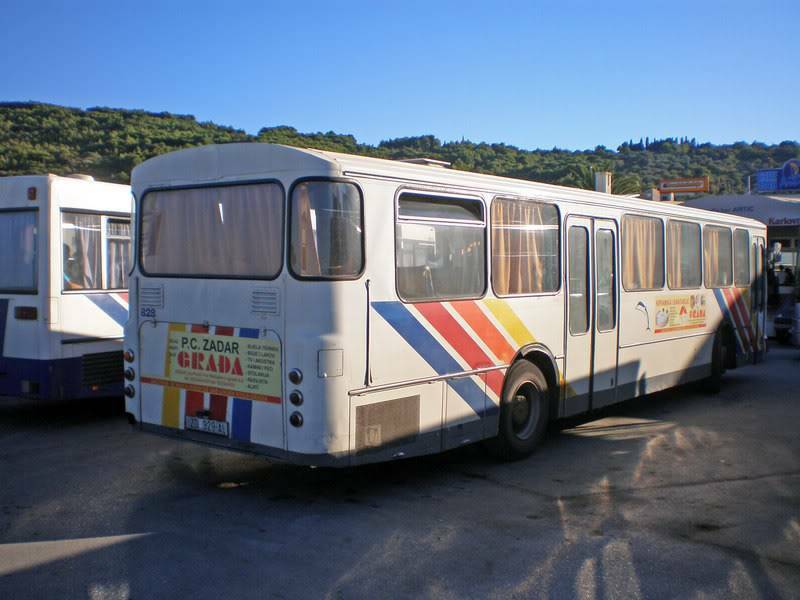 We have one MAZ,few Sanoses and TAz Dubrava busses too. 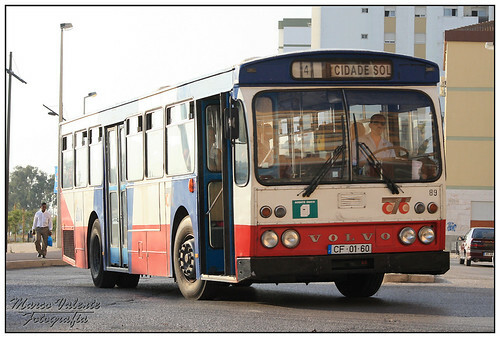 Looks like an NL263 to me. 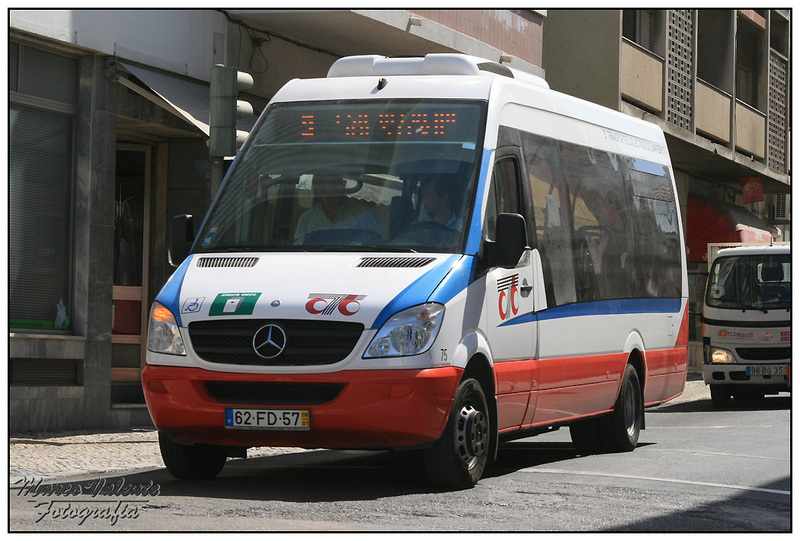 So, there are no British buses at all in you town? Nope, only Mercedes,MAN and few others. None of these are air-conditioned? Not even the single deckers? 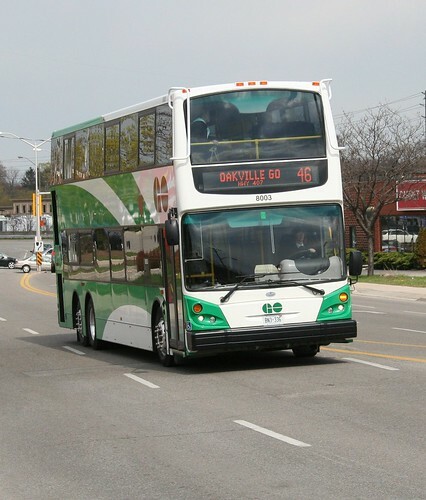 I am quite surprised that Leyland Olympians and MCW Metrobuses are not on the list. 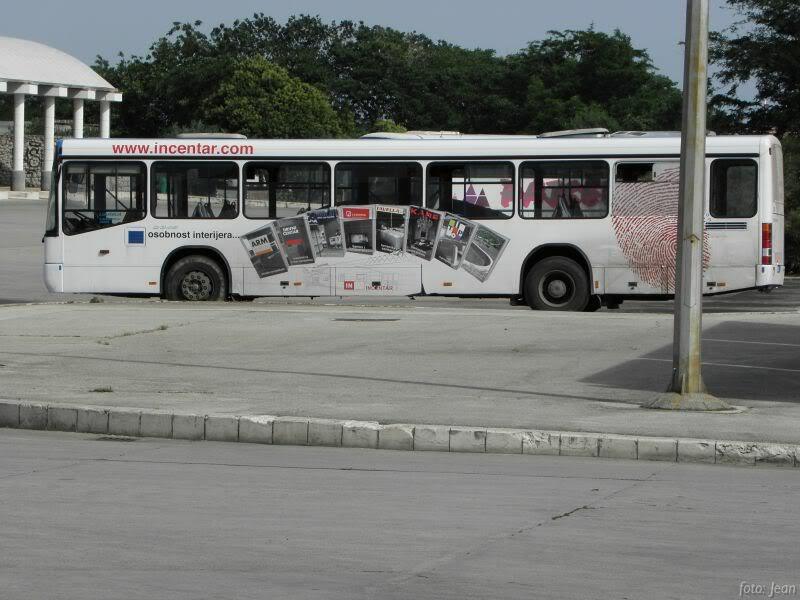 Most of our vehicles aren't air conditioned, its not needed here! 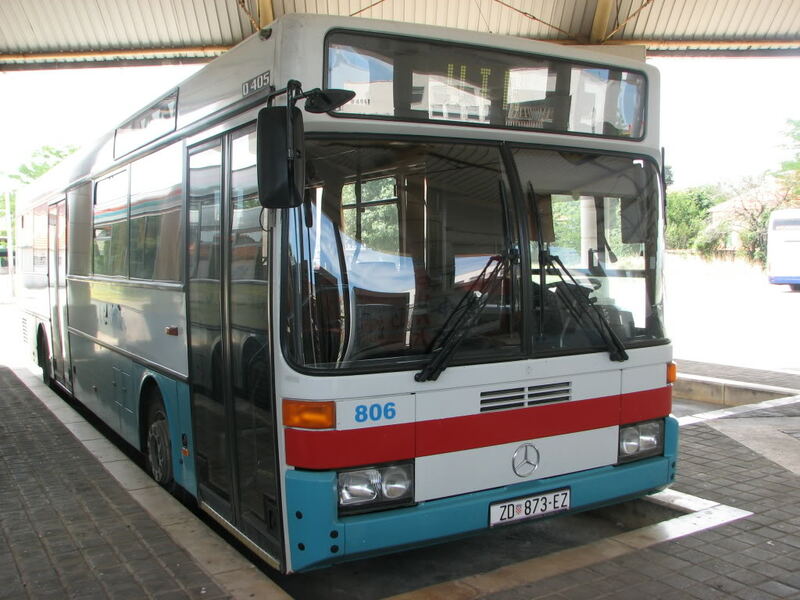 In England, there are rules coming into force that all buses need to be low floor, so that rules out MCW Metrobuses and Leyland Olympians, Although in the Wales section of Arriva, there are still a lot of them operated (open top, usually) for tours and in the summer. For example, in Llandudno, a lot of these vehicles operate for mountain tour route Number 1, which shows landmarks in Llandudno, Conwy and of course, the Great Orme. Hello, that is my first post on this forum. I would like to show my hometown - Radom, Poland. All pictures belong to authors who published them in Phototrans world-wide gallery. We have 24 day bus lines (and no other means of public transport), numbered 1 through 26 with 20 and 22 missing (they existed once but were only rush-hour "suppliers" and were of no use in late 1990s). All of them are run between 5.30 and less or more 23 o'clock, with major routes, 7 and 9, running practically 24 hour with no run at 3am. 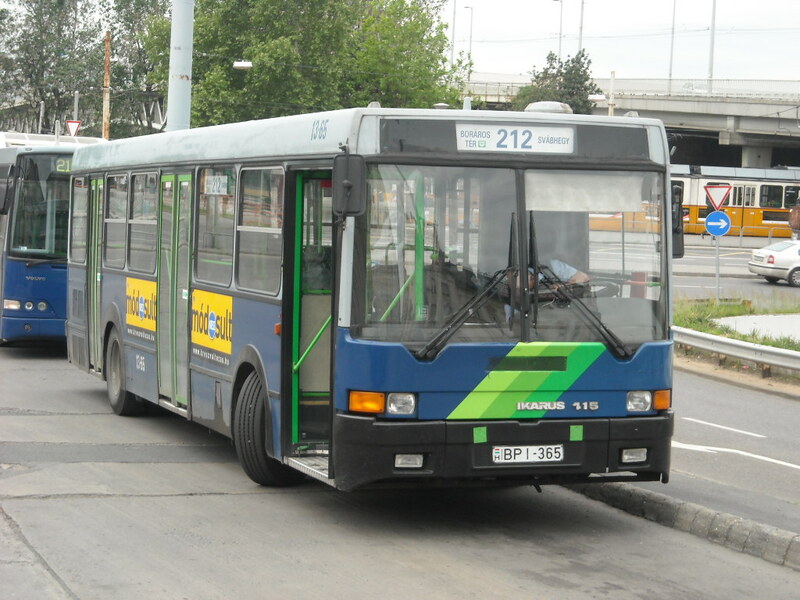 There are two companies, the larger one, MPK Radom (MPK, after translation, means less or more Urban Transport Company) operating routes 4, 7, 9, 10, 11, 12, 14, 15, 16, 17, 18, 19, 21, 23, 24 and 25, while the smaller company, ITS Radom (ITS stands for International Transport and Spedition - this is how it is actually called!) running on 1, 2, 3, 6, 8, 13 and 26. 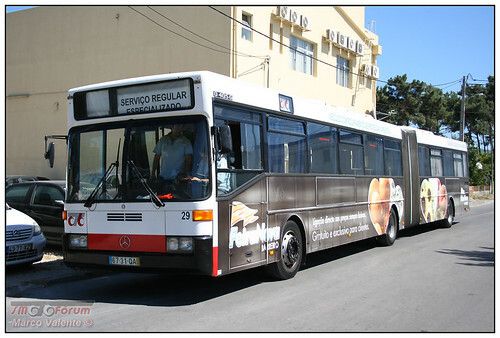 The livery is mostly white with red stripes. 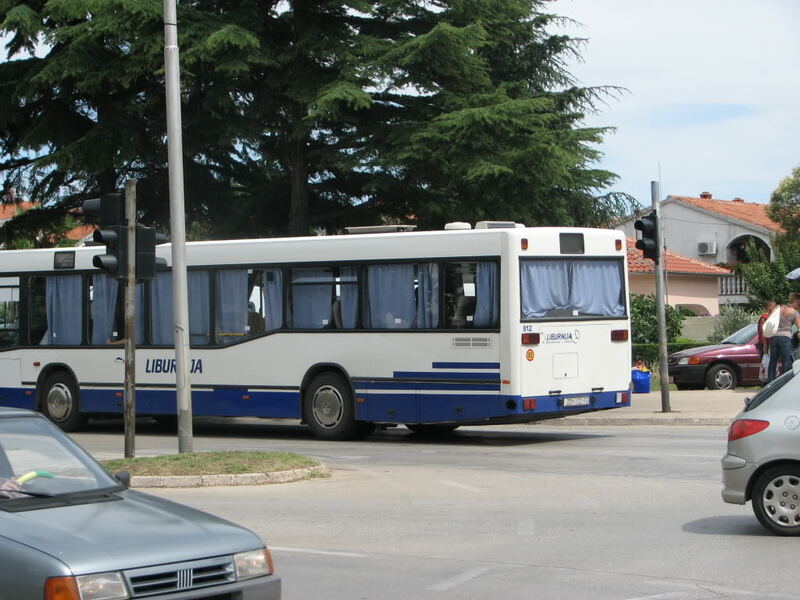 Older ITS buses carry white with blue stripes. 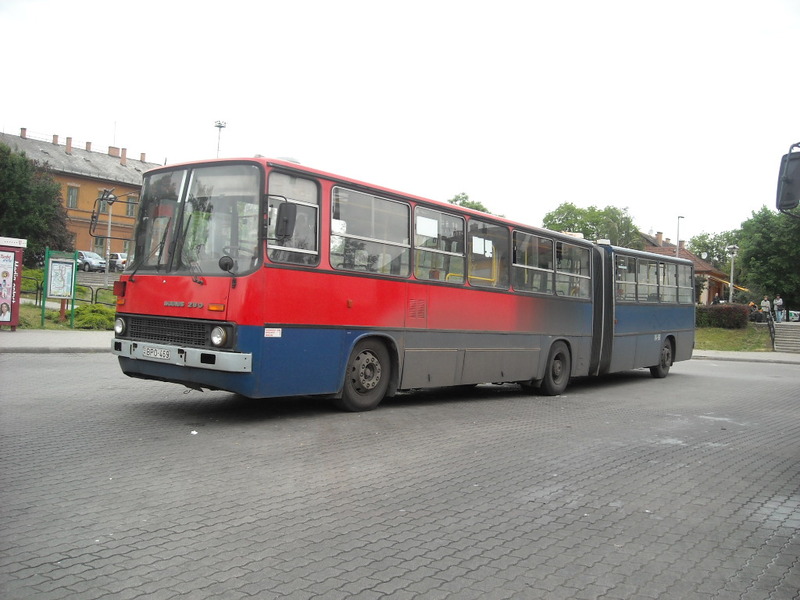 Another quite common picture was a Polish make of Jelcz. Only MPK owned them, and M11's, a L11, PR110M's, a PR110D, M120's and M081MB were ever bought. 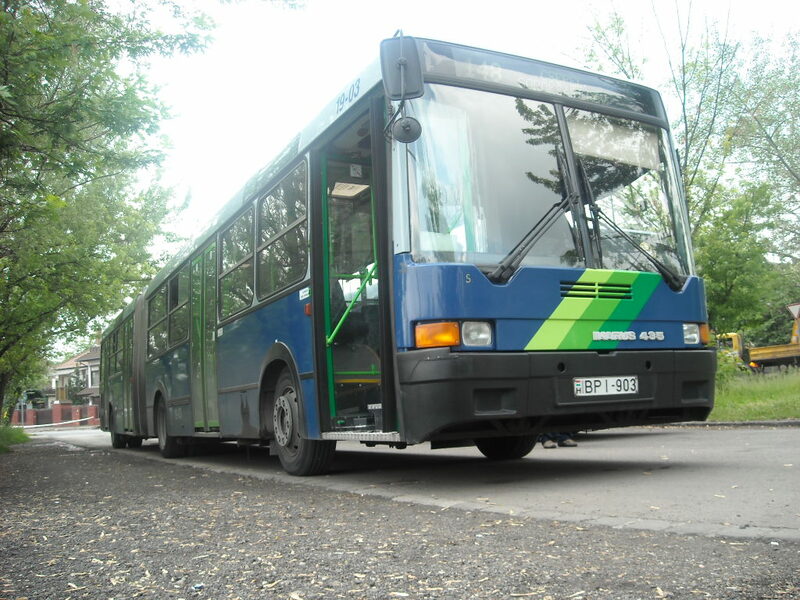 The latter two are still in service. 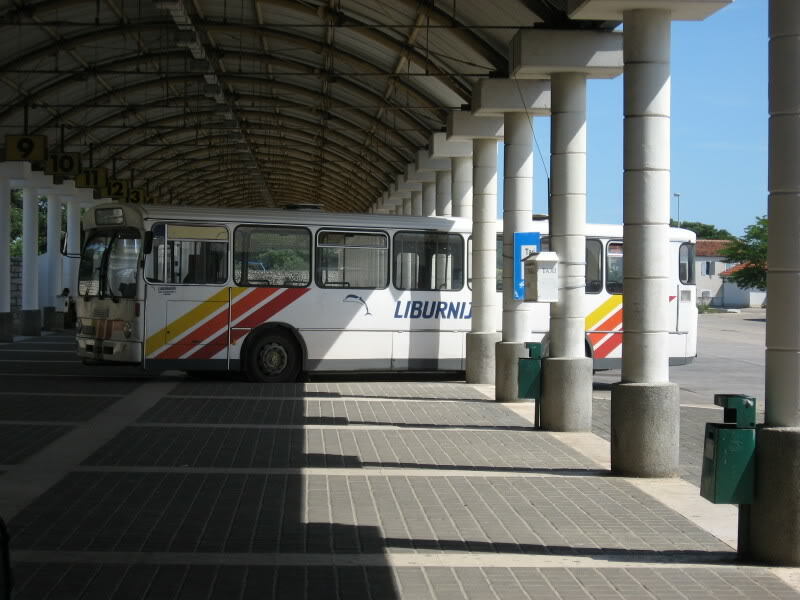 L11 was a suburban version and didn't have middle doors. 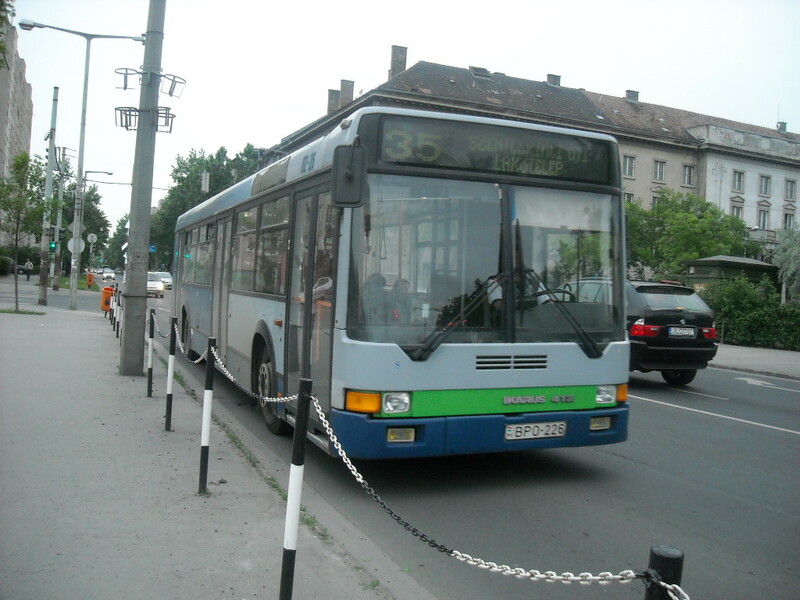 #983 was rebuilt into #1014 - here it is in 2009: http://phototrans.eu/14,378646,0,Jelcz_120M_1014.html - for what it was rebuilt, I'll tell you later. None of them are air-conditioned either. All had a less or more high floor. 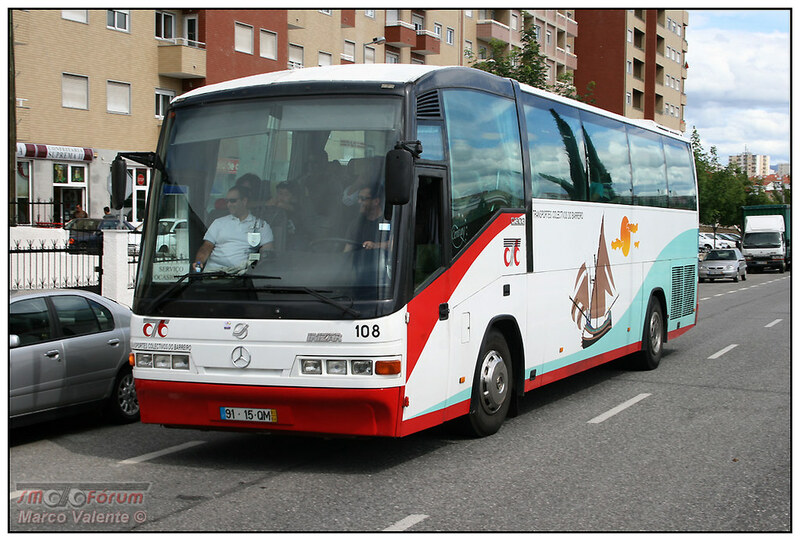 None of Neoplan buses have a/c for passengers. 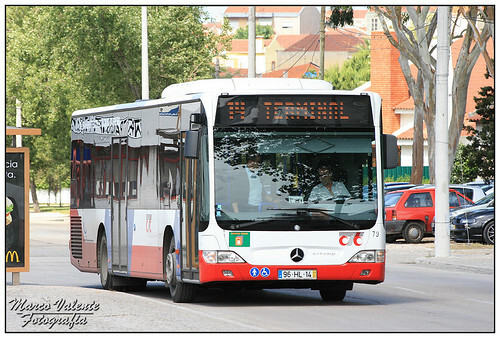 They are all fitted with electronic displays - however, they are not able to announce next stop (older controllers...). 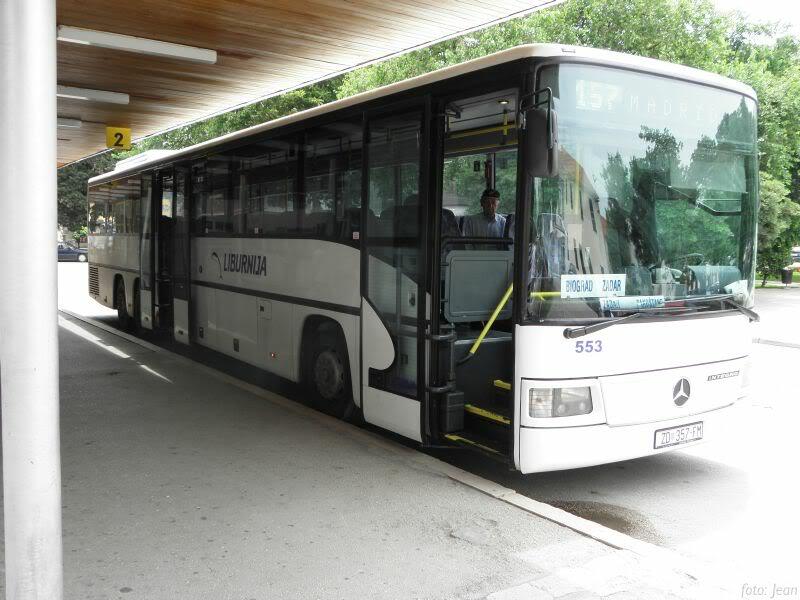 They are all low-floor for at least 45-50% of the bus (and were first buses in Radom to be low-floor). 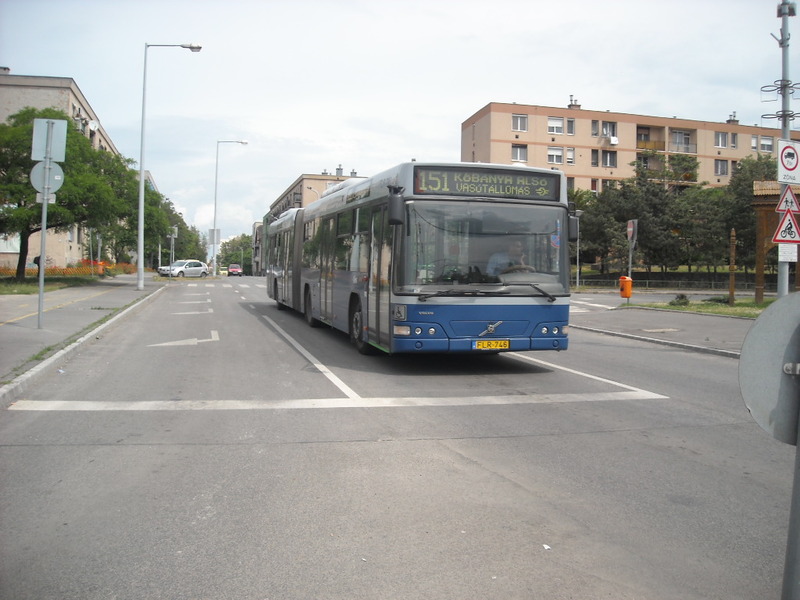 ITS own most of MAN buses in Radom - a range of NL202/NL222 and NG262/NG272 along with a MAN SG292 and a NL313. 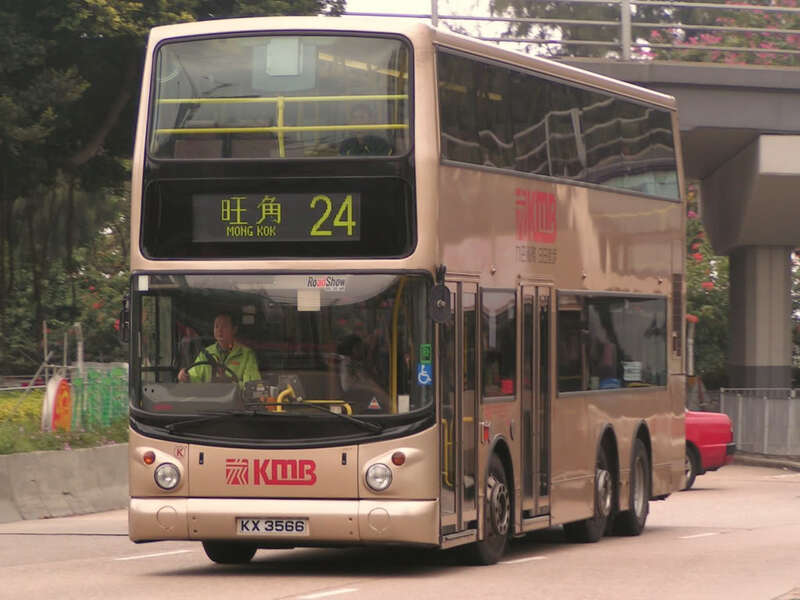 MPK only own 4 NL202 buses, over 20 NG272 buses and a NL313-15. MPK NL202 #864 in 2010: http://phototrans.eu/14,438287,0,MAN_NL202_864.html - BTW: Ruediger! This fella was once that! No MAN buses have a/c if I'm not mistaken. All except for #43 have low-floor. And the last but not the least - Solaris. 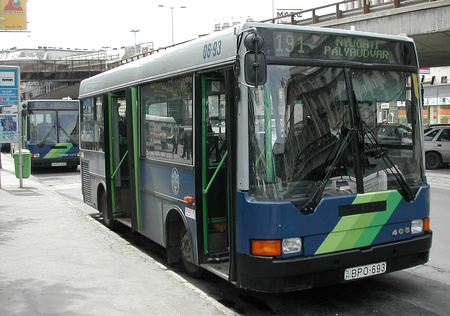 This quite young Polish manufacturer of buses, trolleybuses and, recently, trams has its products in Poland, Germany (a plentiful in Berlin, by the way), France, Switzerland, Austria, Czech Republic, Slovakia, Greece, Italy, Sweden, Arabian Emirates and Malta and maybe one or two more countries and I'm honest. 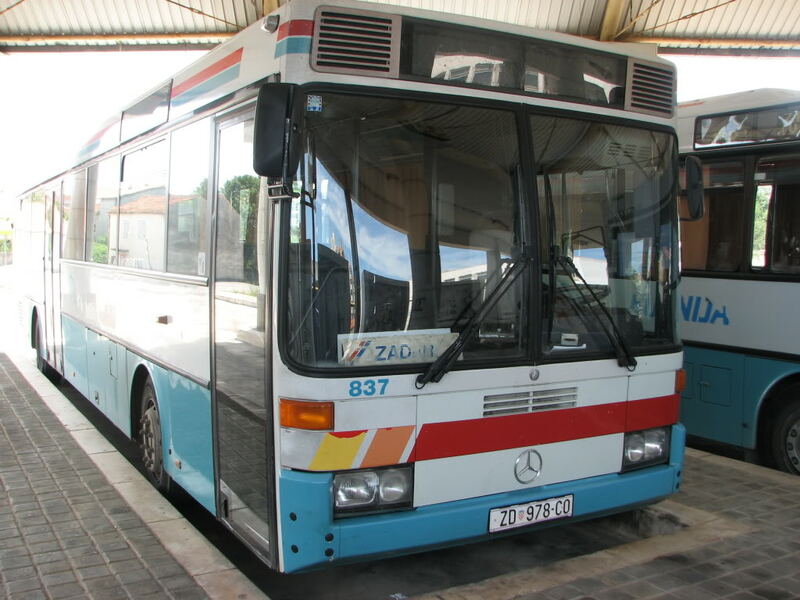 It was created in 1999 and has produced over 5500 public transport vehicles so far. 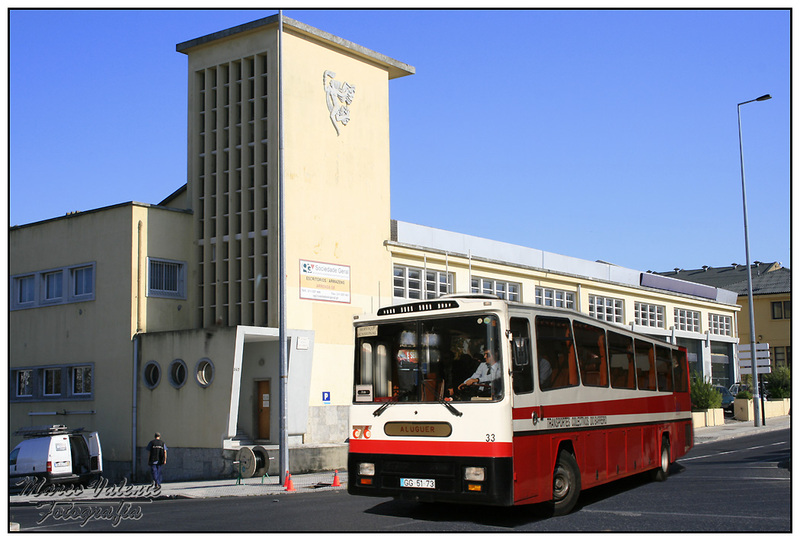 Both MPK and ITS own Solaris buses. Oldest MPK Solarises are from 2000, while younger boys are form 2006, 2007 and 2010. ITS examples were born in 2008. 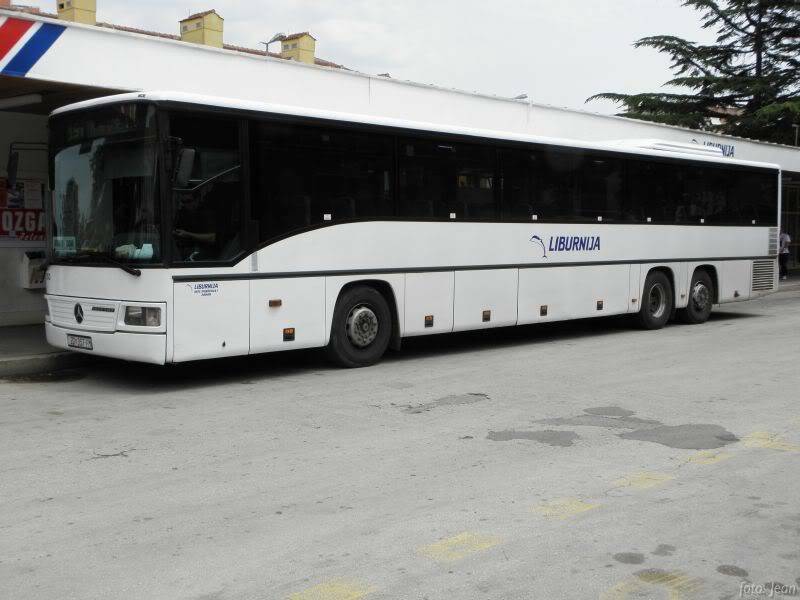 MPK Urbino 18 III of 2006: http://phototrans.eu/14,449473,0,Solaris_Urbino_18_002_CNG__1045.html - this bus is the only of its specific type to be ever produced so we have a world-scale only bus! 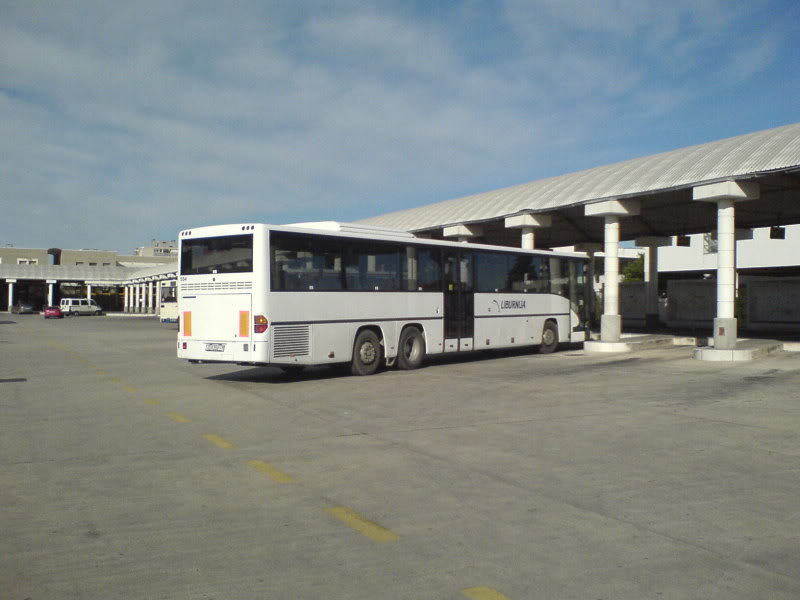 All ITS Solaris buses and MPK buses with fleet no. 's above 1033 inclusive have a/c - all the rest don't. 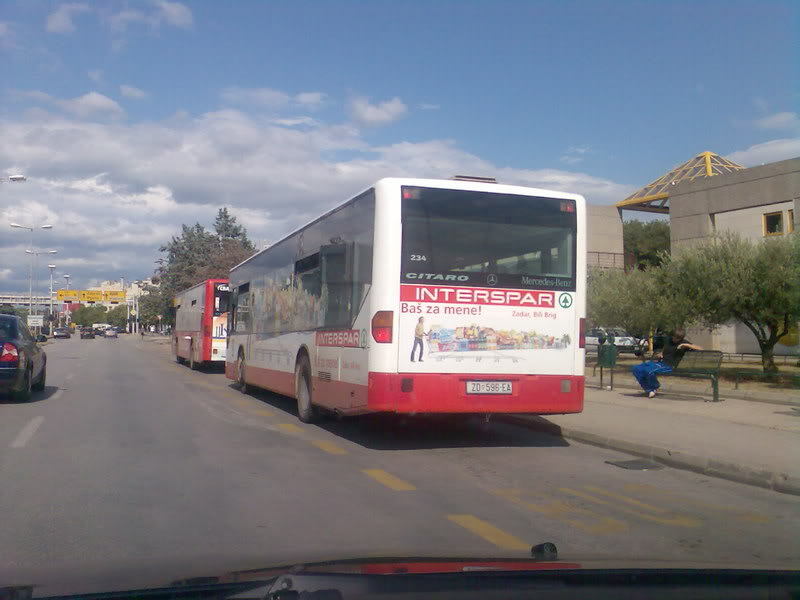 Every single Solaris is a low-floor bus and all buses made later than 2006 inclusive can announce next stops (except for #1045 I think, I'm not sure of that boy). However, MPK drivers have tendency to switch this function off, because "it annoys them"... it's not drivers, who are important, it's passengers! But, for a good news, ITS do switch it on. 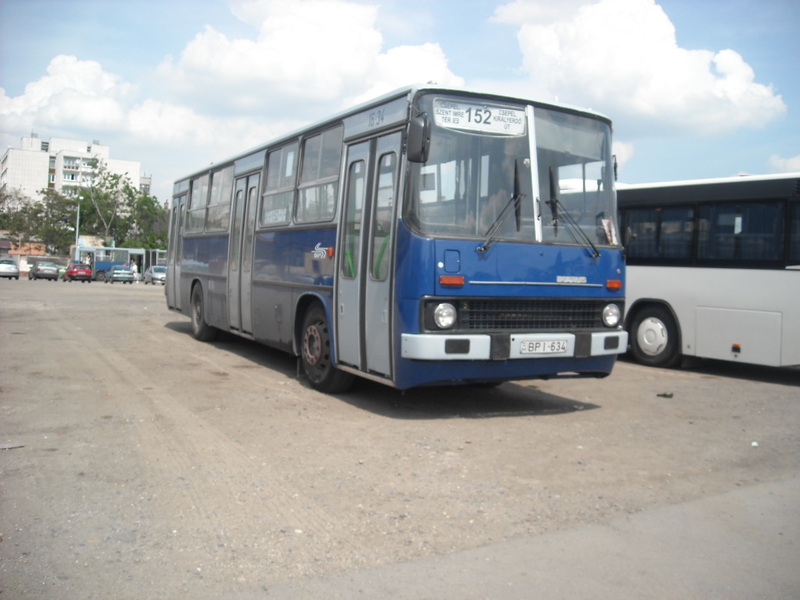 The transport coordinator - MZDiK (Municipal Road and Transport Authority) - lays cash punishments if, for example, a bus is late, or a 12m bus is on a 18m run. Now, a quite enjoyable curio. Buses in my home town? Well, the transit system in my city just got 11 new buses! 4 New Flyer D40LFR's, and 7 New Flyer D35LFR's. 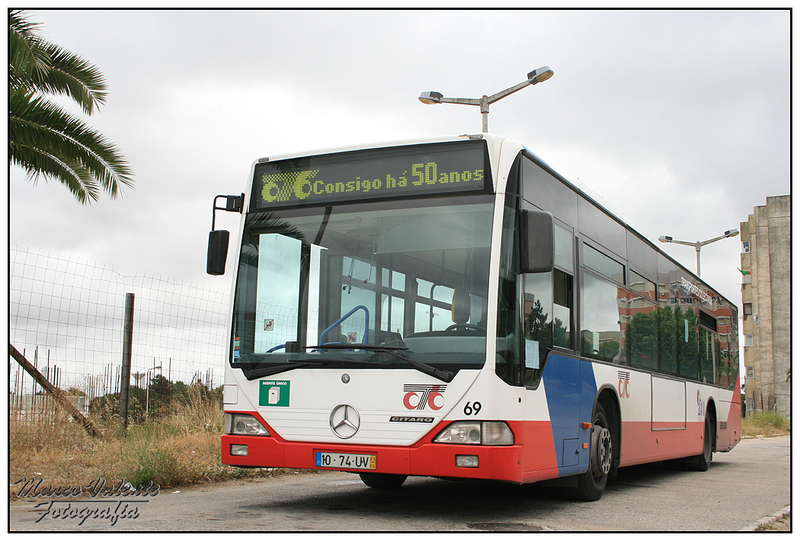 In my hometown, Salt, we share buses with the capital city here, Girona. 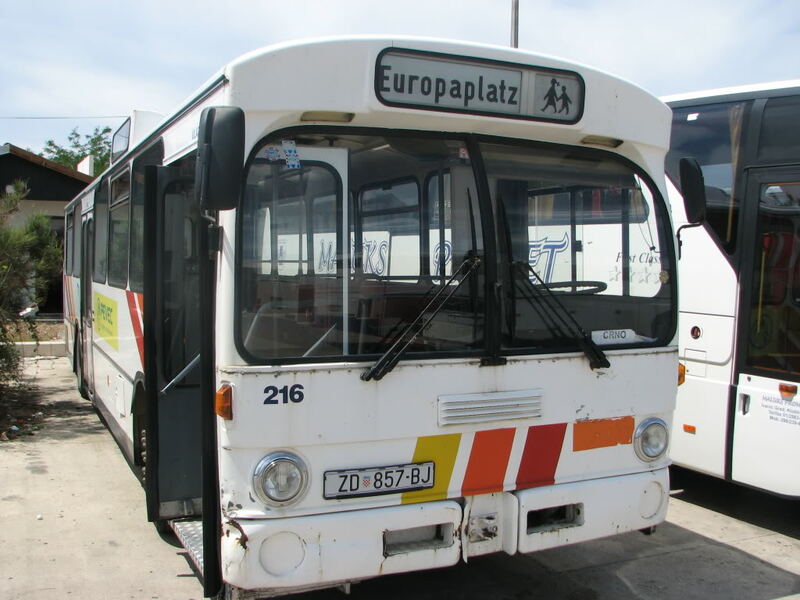 Basically our buses are bodied all in Spain (body makers Tata-Hispano, Castrosua, Ugarte (desapeared), Unvi and Beulas), but we only have one unit made outside...in Poland! 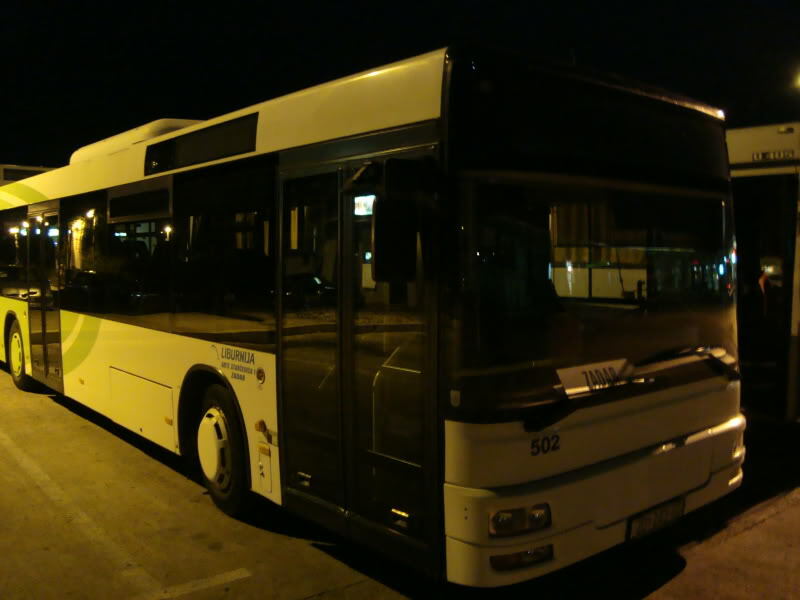 That's it, we have a little Solaris Urbino 8.6 (AKA Solaris Alpino). 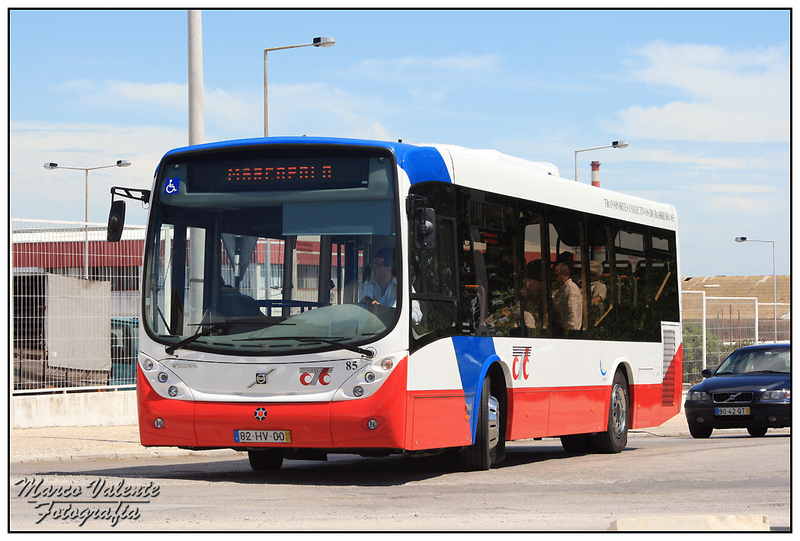 Here in Maassluis, Netherlands we have MAN Lion's City busses. Sorry, i have no picture. I'm living in Budapest (Hungary). Well, same as Lance's ones (except Alfabus Localo), and some Credo buses, in the nearby town. 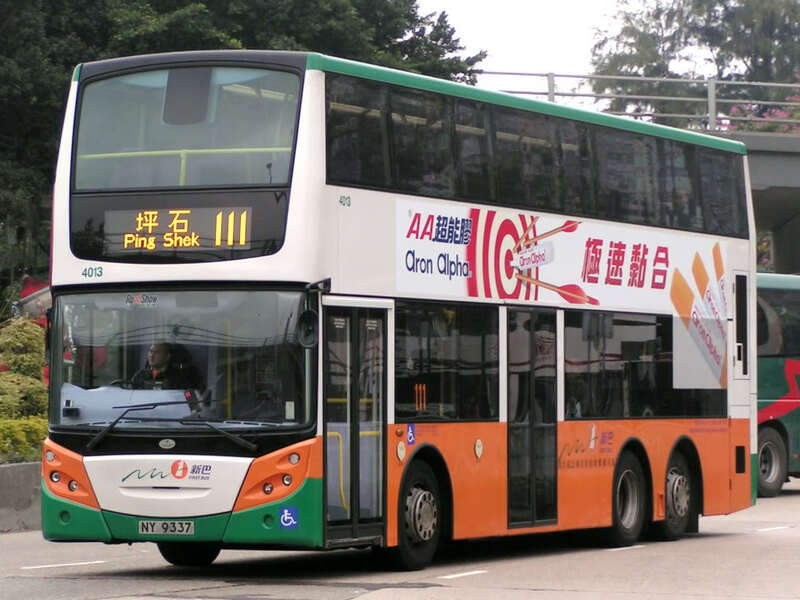 There're two more common bus company in Hong Kong. *All the photos are shot by me. 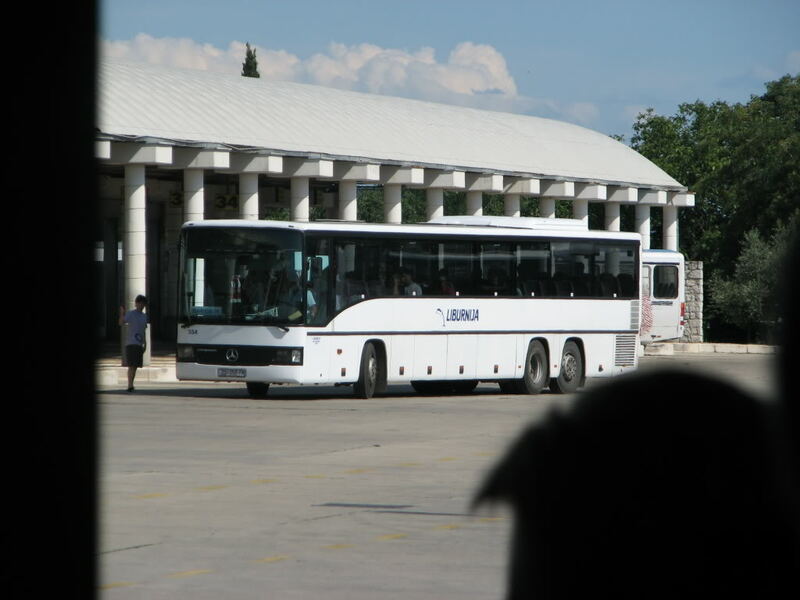 The problem is that also, its offseas and doesn't support the local economy, so if Vanhool doesn't make a factory in Canada, they're the last of the European variety to go, and they're so fancy in terms of seating and the interior environment, instead we're getting some lousy Ontario bus with hard shell seating which is uncomfortable for a commute from suburbia which I luckily don't live. 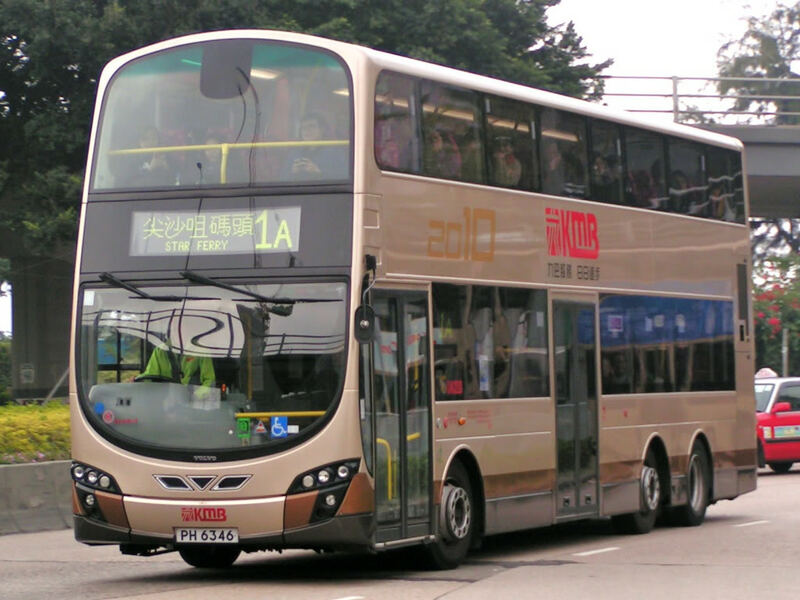 These are the newest buses of them all and they're called orion VII Hybrids that are second gen. 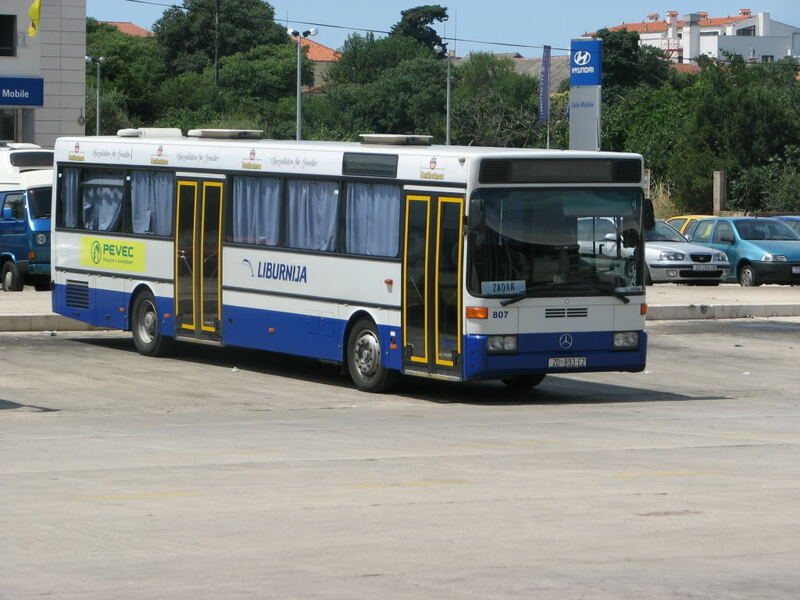 They run on batteries and consume less fuel. 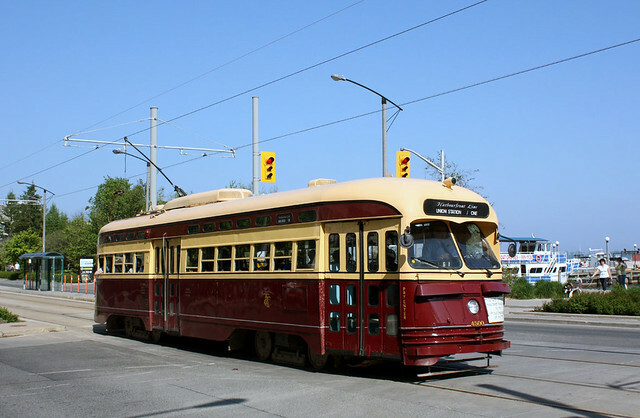 This is a TTC orion V and they are probably the first Air Conditioned buses. 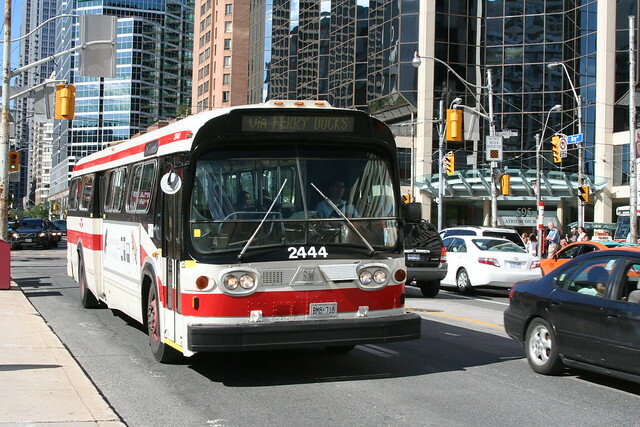 They used to run on Clean Natural Gas, but the leaks and the height forced the TTC to convert to diesel. 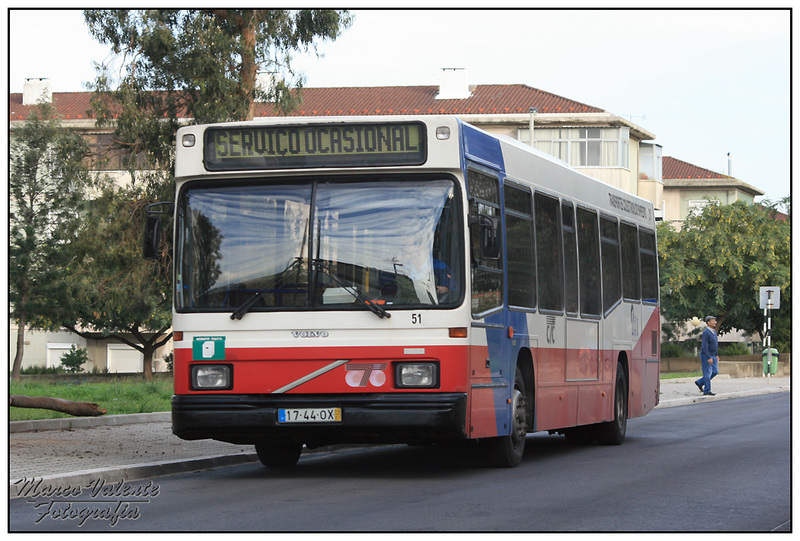 My area's buses are mostly short (many 9.4m, some 10.1m and 10.9m, there's also 5 11.3m buses and 3 12.1m buses). Most are Dennis Dart SLFs, a few Transbus Darts and ADL Dart / Enviro 200 (Dennis became Transbus, Transbus became ADL - Alexander Dennis, and the Darts later became known as Enviro 200 but still technically Dart). And a video of the short part of the journey I regularly use - https://www.youtube.com/watch?v=b1XVCKfaat4 (click here to see a map of the journey I took on the video). 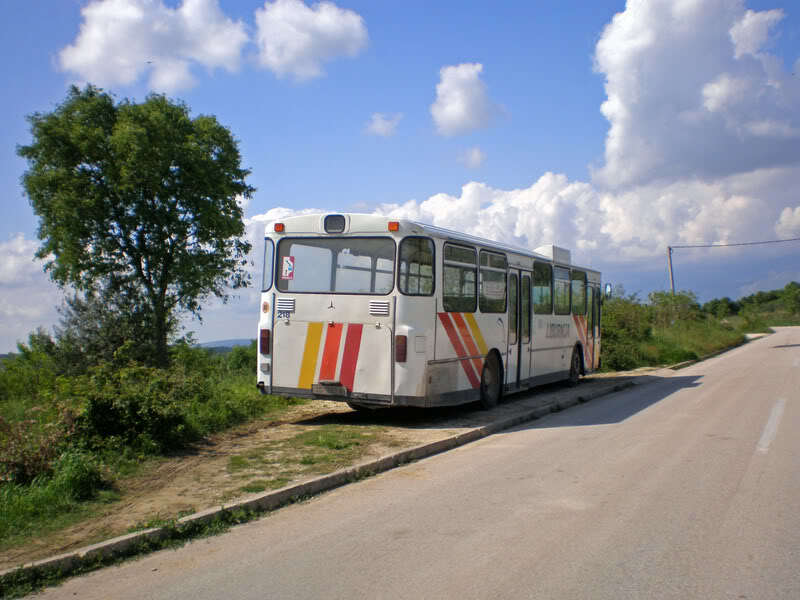 The bus is one of the three in the picture in the last link above. 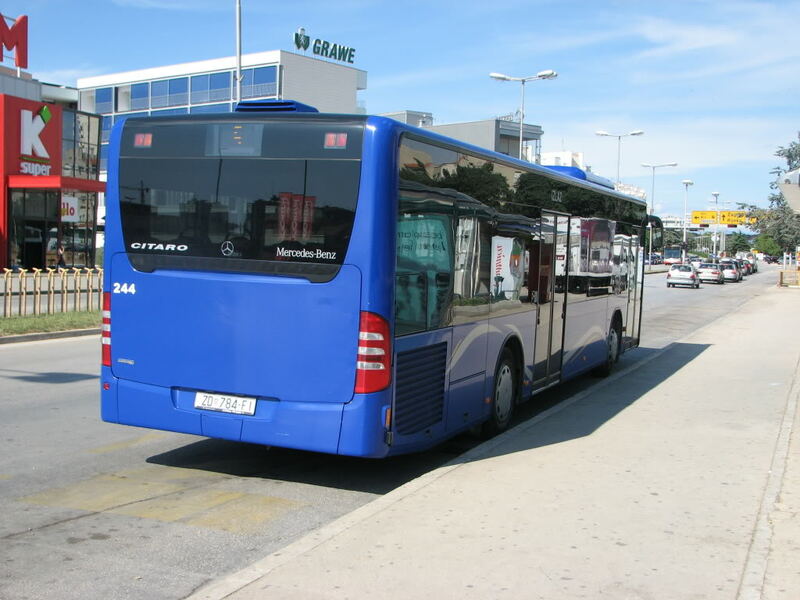 And yes, my route is the only route in the whole area that is operated by big (by our standards) full sized buses unlike the huge amounts of this sized bus in Germany and other places in continental Europe; however, this doesn't mean the route is easy and big because these three buses really struggle to manoeuvre around the route often, and as a result things are hit and swiped regularly meaning the bodywork of these buses is really bashed up and bad condition most of the time. Please note that only the video above is mine, all of the images were taken by other people (the usernames of which can be found once you click on the link). Plus loads of other museum exhibits! 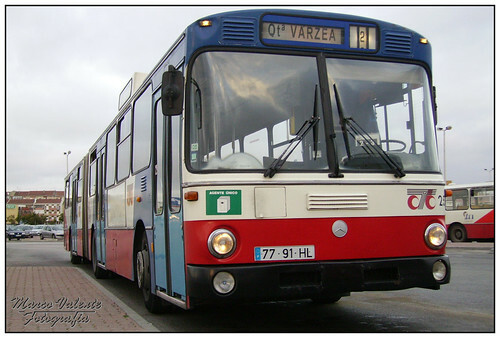 Here in the Netherlands i use a few buses. 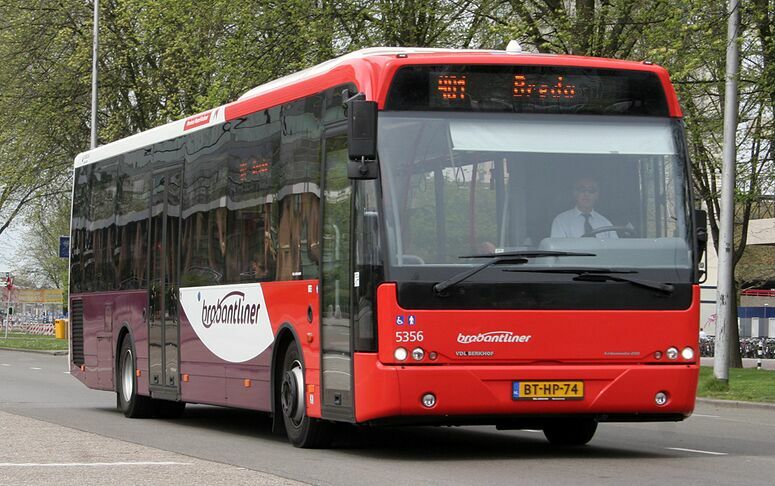 Like this bus in Utrecht. Utrecht - Breda , Utrecht - Oosterhout. They where replaced with these ones. 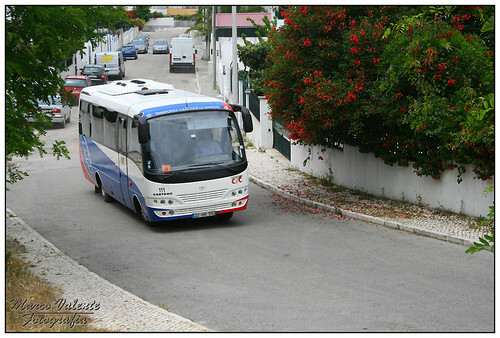 And in the town were i live there are only really small buses for 8 persons, like this one. 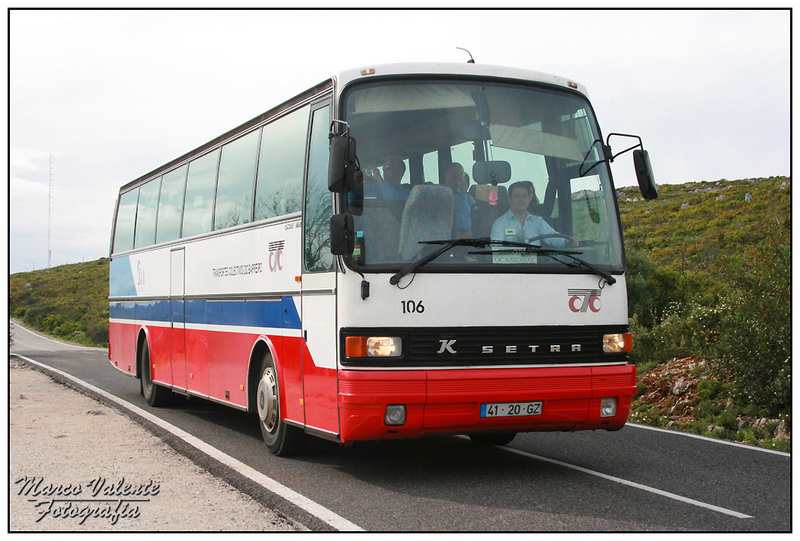 sometimes they are replaced on the busy mornings with Touring Coaches. like this one. This is my list of buses, what i use almost every workday. These are not my own pictures. 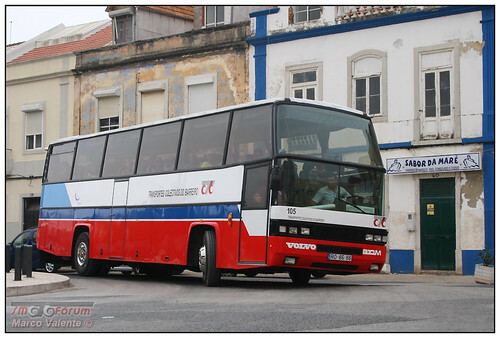 This is my company in my city, Barreiro (Lisbon).